Common Mode Chokes - Agile Magnetics, Inc. 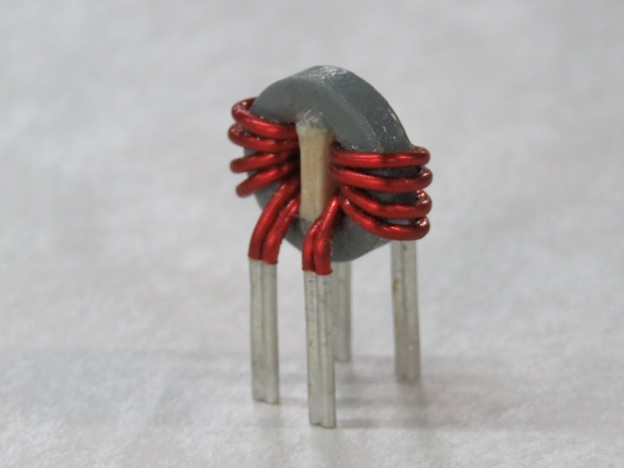 Custom chokes and inductors are a vital part of many electrical circuits; the Agile Magnetics team constructs precise, custom, and cost-effective solutions. With dedicated electrical, manufacturing, and quality engineers, our custom chokes come in a wide variety of configurations to fit any application in the most demanding industries. At its most fundamental, a choke is a style of inductor designed to block high frequency AC noise while allowing the wanted signal or power to pass through a circuit unhindered. These components offer an efficient and effectively low cost way to filter EMI noise in signal and power lines. Chokes are configured in a variety of ways, including vertical and horizontal mount toroids and E-core bobbin wound. The single core of a Common Mode Choke holds two coils, canceling out its own magnetic fields, and thus presenting very little inductance or impedance to DC currents while cutting common mode noise. Agile Magnetics can build Common Mode Chokes in a host of configurations to provide high Common Mode impedance, filtering EMI over a wide frequency range without affecting signals. As industry experts, our team offers custom design, premium sourcing, and precision manufacturing to meet any inductor needs your project may face. From prototype to production, we handle specialized and intricate needs for all industries. Contact our team today to learn more.